What did you think of? Did you think of the place you live now? Did you think of the house you grew up in? Did you think of some place you used to live but have moved away from? Did you think of some place you want to live – a house in the country or a cottage on the lake? Why did I ask you to think of home? I did this same exercise back in July, and again recently a few days ago, and came up with some interesting results. Why was I thinking of home? It has to do with some thinking I’ve been doing recently about my move to London. I recently posted an article on the website travelblogs.com about existential migration called Feeling at Home as the Foreigner. As I’ve mentioned previously in my entry I am not a Traveller, I am a Migrant, existential migration is a term invented by Dr. Greg Madison to describe the process that some people go through in deciding and executing a voluntary move abroad. It is those who choose migration as a means to find or drive a meaning in their life that they feel they cannot get in their native country. One of the key themes in Madison’s research on migration deals with the concept of home. Home, Madison says, is not a place, but rather an interaction between a person and their surroundings. The ‘feeling of home’ arises from specific interactions with our surroundings that could potentially occur anywhere, at any time. When I first read that in statement in July, I sat back and thought of home. The first thing that popped into my head was the Residence Inn San Ramon in California. It is an extended stay hotel in a town just south of Oakland, California, about an hour from San Francisco. I stayed there for 75 days in 2002 and haven’t been back since. As I mulled it over a little more, I came up with other places that felt homey, at least for a time. My corporate apartment in Denver, the hotel I stayed at for my last two weeks in Paris, my place last November in Phoenix and my parent’s house all came to mind, along with other places. In each of these places, I experienced a period where I felt comfortable and settled in my work and life. That comfort in my personal life bled over into my physical surroundings. For a time, I felt comfortable enough in a place to call it home, even if it was just a hotel or a temporary corporate apartment. It was interesting that in all the places I thought of as home, my apartment in Toronto where I lived for 12 years never came to mind. 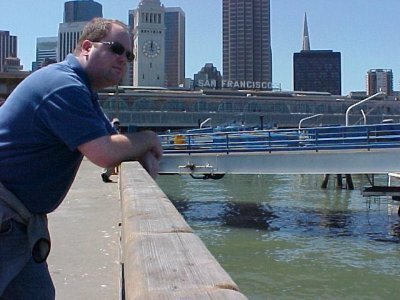 In the article on travelblogs, I talk about the feelings that drove me to leave Canada in the first place, and my feelings now that I am living in London. I realise now that I never really felt comfortable in Canada. Despite having a good set of friends and a loving family, I always felt like I was a bit of an outsider. 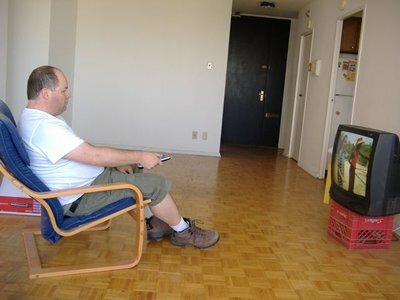 My Toronto apartment never really felt like home to me because I never quite felt at ease in Toronto. Since moving to London, I feel more at ease with my surroundings. I’ve started to not just reference my London flat as my home, but actually feel it as such. 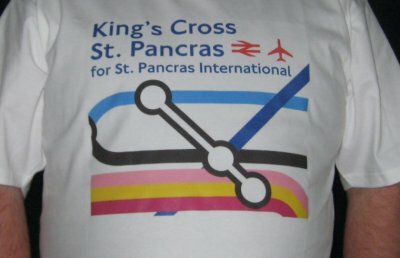 I’ve started to connect with my neighbourhood as well, even going as far as buying a t-shirt with a close up of the King’s Cross St. Pancras tube station just down the street from me. I am starting to feel like London is home and I feel at ease here. It is not because I necessarily fit better in London, but because I am free to feel like a foreigner here in England because, after all, I am one. I am a stranger in a strange land. However, at home I felt like a stranger as well. If home is the interaction between a person and a place, then living abroad allows me to match my internal feelings of being foreign with my external environment. I’ve become a foreigner so that I can feel more at home. Home... a really good question. I don't know the answer to it. Poitiers, France - where I am right now. Seattle, USA - where I spend one wonderful year or even Chemnitz, Germany - where I study when I am not in France, and where I moved 3 times in the city itself. Thank you for making me think of it, eventhough I do not have an answer yet... but maybe someday I will. It's fascinating that you thought of a place you only stayed at for 75 days. It reminds me of times when I've travelled and stayed in the same place for a while - maybe a week. It's funny how coming back after a day out feels like coming home - even though it's just a room you've paid for for the week. As a kid, we moved around quite a bit, so I think my idea of home is a bit crazy. I feel like I don't attach to places too much, but still feel at home, if that makes sense. I can move from place to place, feel at home in each one, without ever really minding that much when I move.